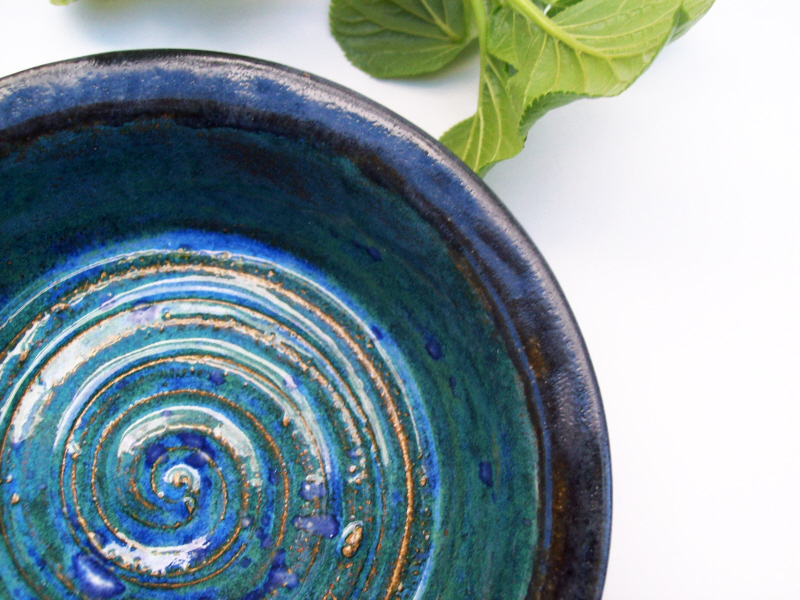 Having something not just handmade, but well-made, excites my senses. It brings me just that extra little bit of enjoyment to my day and brings a nice morning to a perfect morning. 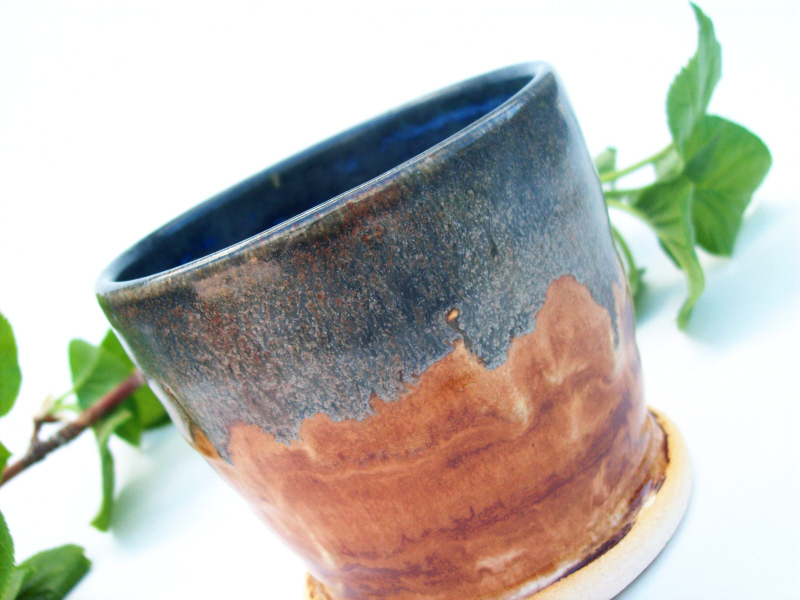 1) In addition to making pottery, I also teach ceramic and pottery classes and my local art museum. 2) I love food, and enjoy going on Saturdays to my local farmer's market, to pick up fresh fruits, vegetables and, because it's Wisconsin, cheeses. 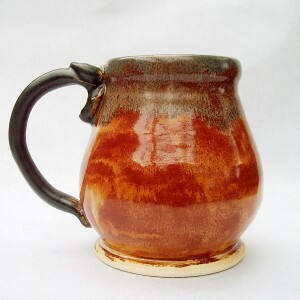 3) Nothing makes me happier than making and serving fresh food and drink in pottery I've made, and I want to share the happiness a handmade mug can bring with other people. 4) I'm an absolute nut for a good cup of tea, a great goat cheese, or a wonderful brandy drink. My wedding, as cliche as that sounds. I originally went to college at the School of the Art Institute of Chicago to paint, but when I started making my own cake topper and flower displays for my wedding, I found a much deeper sense of accomplishment than I ever had holding a paintbrush to a canvas. From then on I was hooked. I always joke with people that the reason I chose pottery, though, was because I looked at the 3 main sculptural departments at my school: wood, metal, and ceramics, and saw that the ceramics dept was the only one where everyone had all of their fingers. 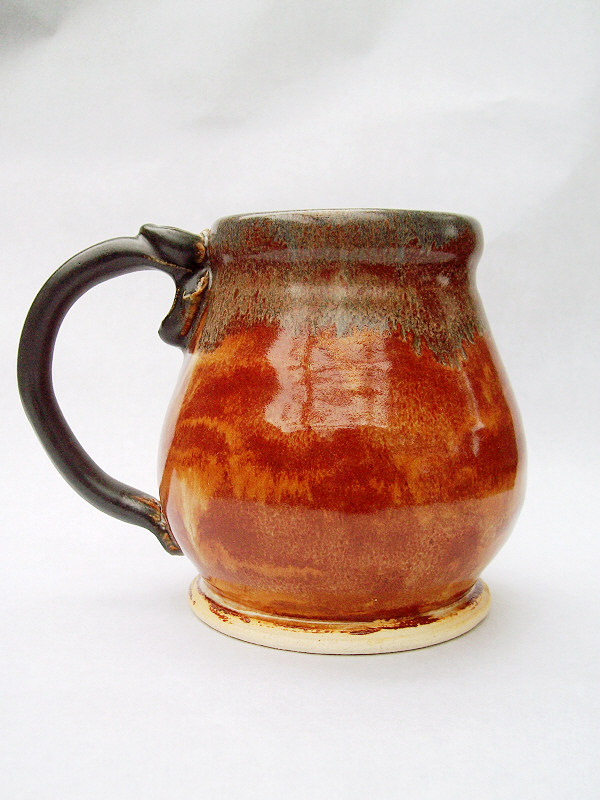 What really drew me to pottery was just how fluid it was as a medium. I loved pushing paint around on a canvas to make and change any image, and wet clay can similarly be pushed, poked, or prodded with your bare hands to create just about whatever you want. In that way it was so much more intuitive as a medium to me than the others. Just last month I had an extremely challenging order to make a grecian-styled vase. Most pottery pieces I can throw on the wheel in a half hour, wait a day, and then trim. This vase was different because it had to be 8 inches tall. That meant not only throwing more clay than I'm used to, but throwing the vase itself in 2 parts and then putting them together. All in all just getting the piece together took 3 days, then I had to trim it and put handles on it. 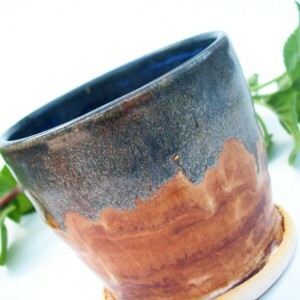 In addition to my ArtFire Shop, Paasch E Pottery, I also sell at craft fairs around my state and at some local shops. Wisconsin is unique in that small businesses and local crafts thrive. It's why we can have so many micro-breweries and why I have so many places to sell work at. Having something not just handmade, but well-made, excites my senses. It brings me just that extra little bit of enjoyment to my day and brings a nice morning to a perfect morning. 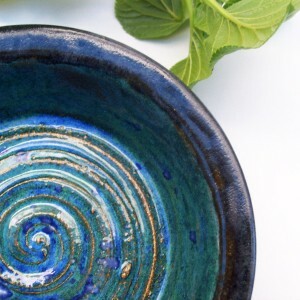 To me, using a handmade object, especially a pottery piece that I'm enjoying food out of, is zen.